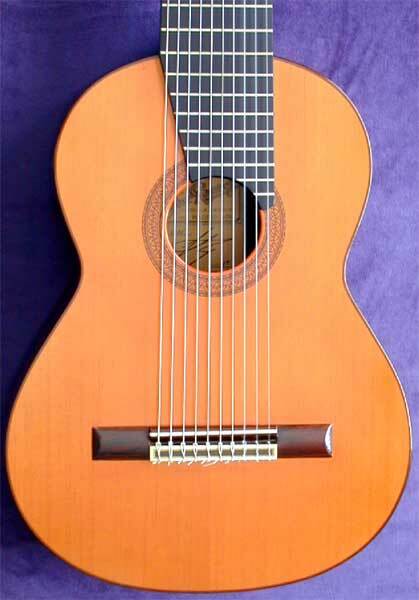 Updated:11/17/2005 -- SALE PRICE: USA $5,000 SOLD (ebay). 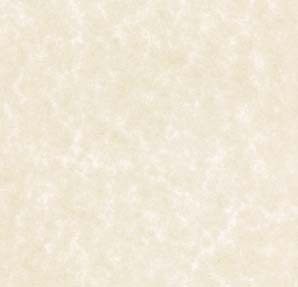 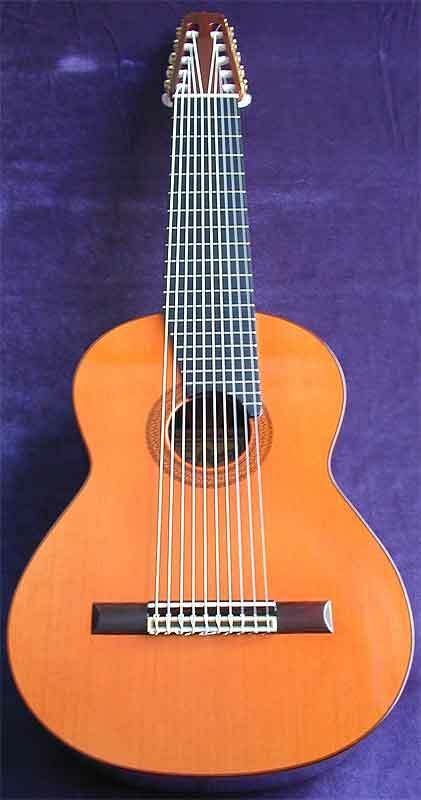 Courtesy of Early Musical Instruments.com. 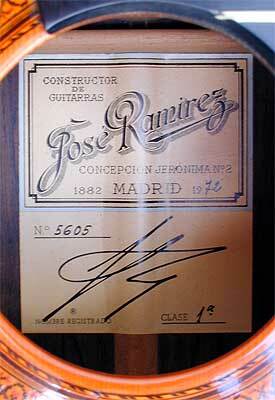 Here is one of the finest examples of a concert grade José Ramirez guitar of any era, very complex and subtle overtone series, commanding voice and very good balance, considerably louder than a 6-string Ramirez. 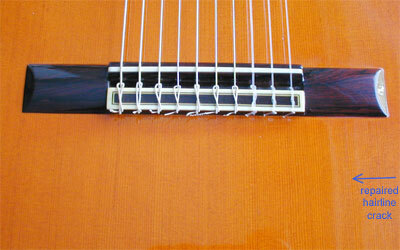 10-string master concert model, bearing orig. 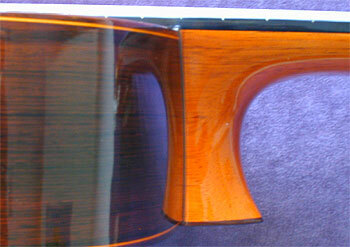 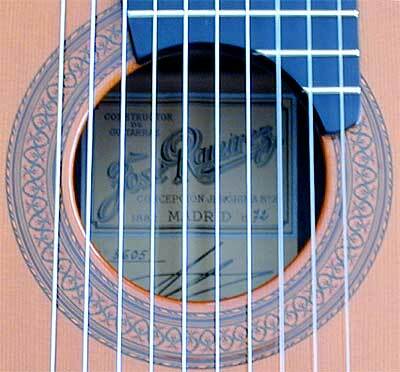 label: José Ramirez, Conception Jeronima #2, Madrid, 1972, clase 1a, top stamped inside near the neck #2 which stands for the Luthier Cayetano Alvarez Luna (according to the information provided by Guitar Salon). 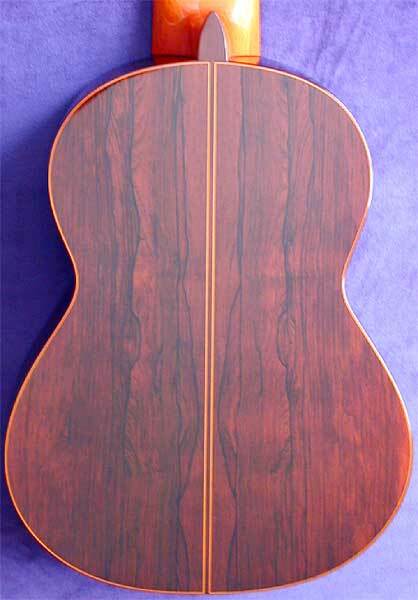 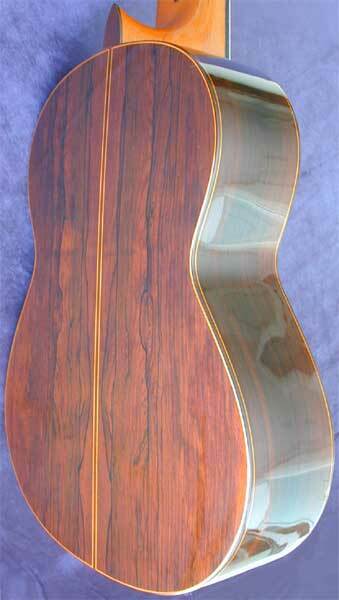 Solid red cedar top with a nearly invisible professionally repaired hairline crack from the bridge to the lower rim, absolutely breathtaking Brazilian rosewood back and sides of a stunning chocolate color with rich and dramatic 'spider webbing', even more surprisingly there are no cracks or checks in the wood, a "Segovia" style cypress double inner side veneer, very good straight mahogany neck, ebony fingerboard with good frets, very good action, plays easy, the lacquer still has the appearance of a new guitar with only a few nail marks near the treble side, scale 66.4 cm, nut 8.5 cm, original capo and case.